So I was able to get the sprites working, but now I'm getting an error with the overworld portion. Well I was able to build the rom...but now none of the Pokemon in the overworld don't appear correctly. Seems as if the sprites are being picked from both banks and switching icons instead of just one (not sure what causes the switch yet). I put this into my game but Miltank is Tauros in the farm! what did I do wrong? Is there any chance of someone making a new patch for base Crystal or Silver from this? Tried cygwin and mingw32 and I'm still having trouble figuring out/setting up assembly stuff. Just trying to get it on the base rom for VC purposes, sorry if this question isn't allowed! Real desperate to get this working. In each case the Make command goes through and the rom compiles but the changes are not taking. Would someone be willing to guide me through this starting from the beginning? I know other answers have been given on the previous pages but I've tried hard to make them work and keep failing. Have you been able to make any other changes successfully? Something specific that has happened when I copy paste files is that Cygwin will not recognize the changes right away. I always to git status first to make sure it is recognized. If not open the changes file, add and delete something and save. Then it should register. So far I have. I was able to add the running shoes into my rom using your help and the commit from Victoria Lacriox. I also was able not too long ago to edit the shiny odds to 1/256, both of those are minor but they eventually worked after I fixed the error messages. I tried using git status just now and it shows the slew of modifications made in red text. After the files have been edited I have to use "make clean" in order for the make command to accept, I type make, then open the compiled rom. I choose totodile as my starter but the menu sprite is still rhydon. You have to use "make clean" instead of "make"? I am unfamiliar with that command but it sounds like it would erase all your changes. After you use that command, if you open up a changed file - does it still show your changes? 'make clean' is a rule in the Makefile that removes all build artifacts (like main_red.o, pokered.gbc, all of the *.2bpp and *.pic files, etc.). 'make clean' is a way to guarantee that the next 'make' has a completely fresh build. 'make clean' will not ever undo your changes, because the build artifacts are not files tracked by git or files that you modify yourself. Regarding your issue, thechemist, I don't know what repository you are using, but if it is somewhat up-to-date with the real pokered repo, then you should not be modifying the .2bpp files. You should be modifying the .png files that are in the repo. The Makefile uses the .png files to create the .2bpp files. If the repo you are using is old enough that it has no .png files, then it's hard to give you advice. I think this is my issue. I have made all the edits from the commits following maniac and rangi, but I have been replacing my .2bpp files with theirs. I do not know how to get the .png files as when I download their files from github they're already in .2bpp format. Any way you know where the png files are stored so I can download them? I can only find a link to the ips file and I can't seem to figure out how to get the png files out of it. I have tried removing that file, executing make, but the same message appears. When I add the file back into the folder the same message also appears. I'm not quite sure how to go about troubleshooting this message. Has anyone come across this before? This is where I am stuck. This line of code for this particular error is the following block, with the error pertaining to "rept NUM_BOXES"
Neither Rangi's bills_pc file nor Maniac's have anything thing different in this position. All of these changes are being made on a blank rom, the edits I had made to my previous hack were something I could easily add back in and I wanted to get this working, so I started with a fresh rom and literally did everything from the linked commit in my earlier comment. I've even followed Maniac's commit (https://github.com/maniac379/White-Crys … 7ddac50d4c) just to see if his had anything different. The commits are the same, there isn't any difference, yet I still get these same slew of errors. I'm having a hard time believing that following the commit from Rangi or Manic is all that needs to be done. If anyone has any suggestions from when they got this implemented for their hack or is able to see what it is I'm doing wrong I would greatly appreciate it. To anyone using my code an an example: I recommend instead using an up-to-date copy of pokecrystal and following this tutorial from pokecrystal's wiki. Thanks so much for the updated guide Rangi. I followed it and got my rom to build without any errors, but when I choose totodile as my starter it's menu icon is nidoqueen. Since totodile's position is the same as nidoqueen's in icon bank 1 but totodile is in icon bank 2, does that mean the second icon bank isn't being registered? I got it working! Gah I wish I could explain how happy I am right now. These strings of code were taken from Maniac's commit (linked higher up on the same forum page) but he used CurIcon while that won't work for current projects, you have to use wCurIcon (side note for anyone now trying to implement Victoria Lacroix's running shoe code this same type of edit needs to be made for PlayerMovent). I also had to move Tauros to Icons2 but I made that change before the changes just recently described so I'm not sure if that's necessary. After playing through, the miltank overworld sprites were Taurus' and the farfetch'd in the house in azalea town was a Moltres so those had to be fixed also using Maniac's commit. I haven't tried this yet but is it possible to use different palettes on the menu icons or only palette 1? Thanks. 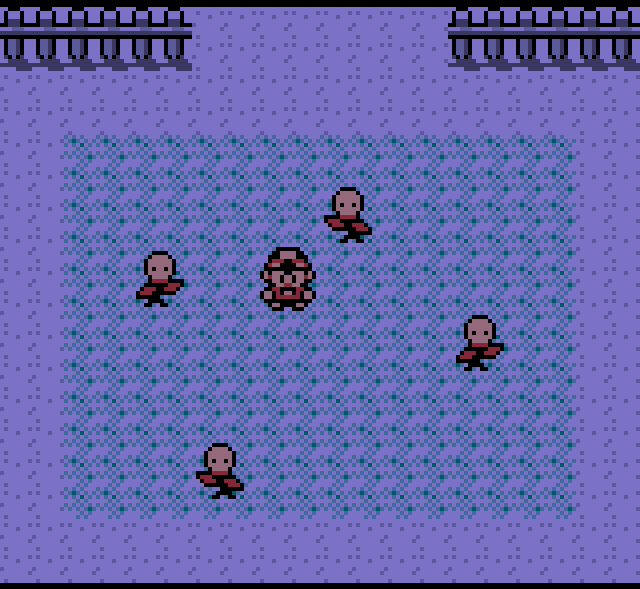 I did managed to somewhat implement it on my gold rom but as a side effect the hero's sprite bugs out on the pokegear map. which seems related to the SkipOAMattributes routine. Got a rough idea on what might be the issue or the solution?